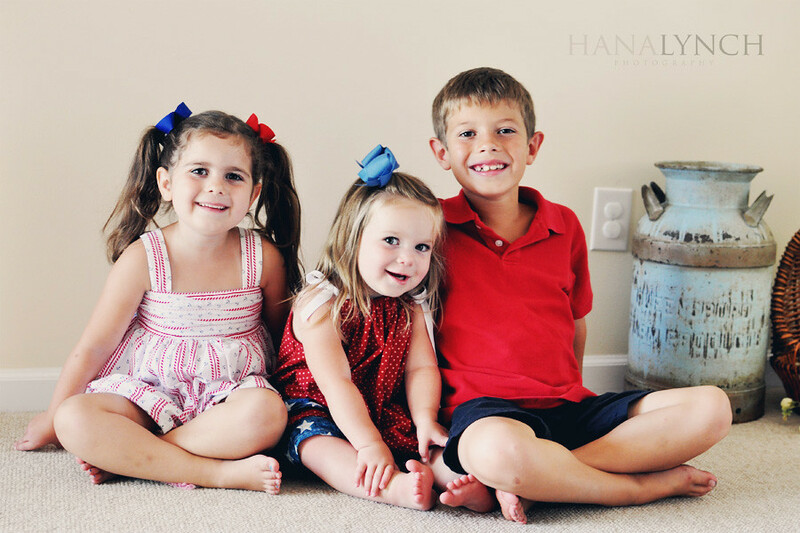 the MomTog diaries: Happy 4th of July!!! Darling shot! Such a good momma keeps safety covers on her electrical outlets. Kate, that's the nice thing about having a camera that can take lots of photos in quick succession...usually I'll get one w/ them all looking. That and the fact the my husband and I were both yelling and making silly faces pleading with them to look at me! LOL!